Designer Rebecca Minkoff has teamed up with Case-Mate to launch a new line of accessories for the iPhone and Apple Watch. Apple recently debuted a new fall line of Apple Watch bands. The bands, which are available in Apple Store and online, offer some of the same bands that were currently available for the Apple Watch in new fall-inspired colors. This double-wrapped leather band offers the look of a fashion bracelet rather than a watch band. The Debossed Chevron band is a leather band with a distinctive look and design, giving your Apple Watch a bit more of a fashionable vibe. This looks to be a clear plastic band with glitter in it to give it a bit of a different look. The Brilliance Band also uses silver glitter, but on the outside of the band, making the glitter more pronounced. This version of the band looks exceptionally similar to the silver version of the Brilliance Band, with black glitter on the outside of the band for a glam look. The Edged Leather Band has a camel-colored exterior, while the inside of the band is a lighter blue. The result is a band that looks blue on the sides while remaining brown on the exterior. Similar to the Edge Leather Band in brown & blue, this band is white on the outside and pink on the inside, resulting in a white band that will show bright pink sides when worn. This band resembles a chain; however, it’s made out of a rubber material similar to the Apple Watch’s sports band. This black band has a look reminiscent of a snakeskin. Case-Mate offers significantly fewer options for the 42mm Apple Watch; however, each of the options it does give the Watch a distinctive new look. 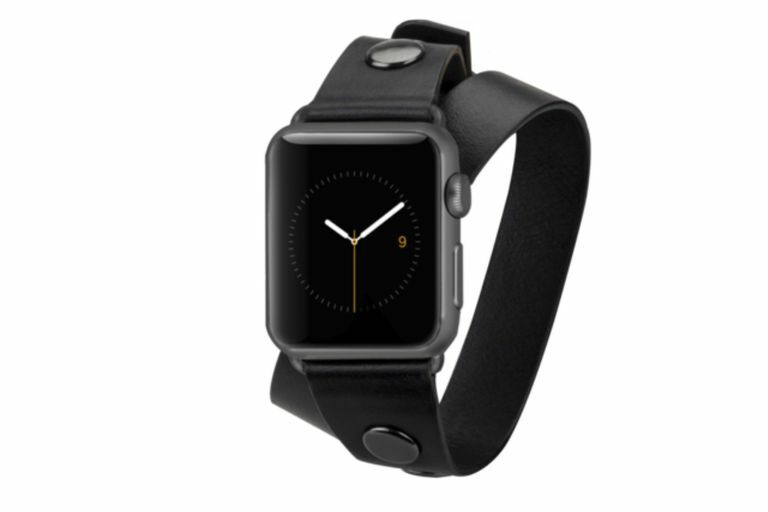 Case-Mate offers its signature leather band in both black and tobacco for the 42mm Apple Watch. The bands give the Watch a sophisticated look and are business-appropriate.